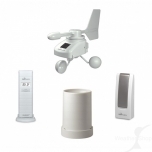 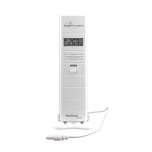 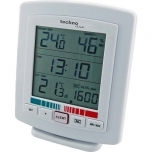 TechnoLine digital temperature and humidity stations combine style and functionality to offer both indoor and outdoor weather parameters. 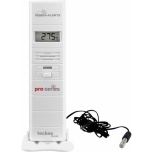 Top features include min/max data, time and date functions and the option of additional sensors for measurements in up to three locations. 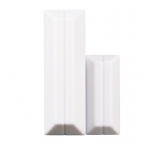 For a unique modern design choose from the new Premium Collection. 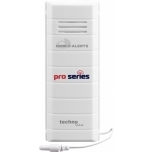 The MA10860 is a sensor for acoustic monitoring of alarm devices, like smoke detectors, CO2 detectors, water detectors or intruder detectors. 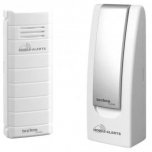 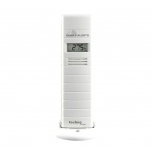 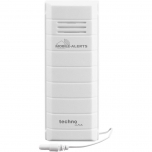 Air Quality Monitor which measures indoor temperature, indoor humidity, indoor CO2 and have also one wireless temperature sensor for outdoor temperature. 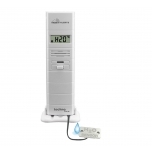 Thermo- hygrometer sensor with LCD screen and water detection cable sensor. 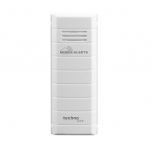 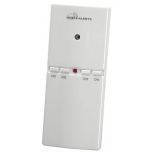 The MA 10120 is a sensor for monitoring indoor and outdoor temperatures.